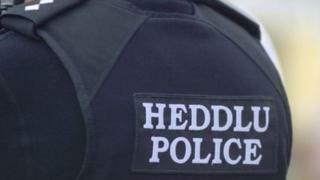 A "substantial" quantity of Class A drugs have been seized by police as part of the ongoing operation to combat organised crime across north Wales. Two men, aged 18 and 16, were arrested after the West Conwy neighbourhood task team found drugs and cash during a raid in the county on Wednesday. PC Carl Barlow said police efforts had "significantly disrupted the supply of drugs in the area". Both men have been released while investigations continue.